Due to a New Jersey Law, parents of children who rode the public city bus to school were eligible for reimbursement. Parents of Catholic School students who also relied on public transportation to get to school were eligible for reimbursement as well. Did the New Jersey statute violate the Establishment Clause of the First Amendment as made applicable to the states through the Fourteenth Amendment? No, the law was a simple way of assistance to parents of all religions to send their child to school. The law did not directly assist parochial schools in any way. 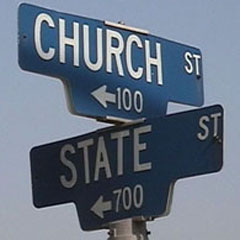 This was a case in which the "wall of separation" between the church and state became more evident.